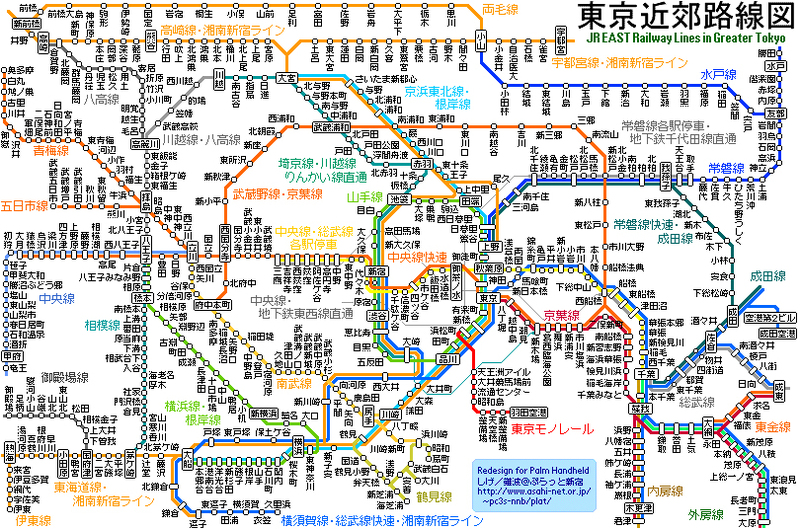 The Tokyo Metro region is a megalopolis of over 30 Million people. Rail is the primary mode of transportation, which has the most extensive subway network in the world and an equally extensive network of surface lines. 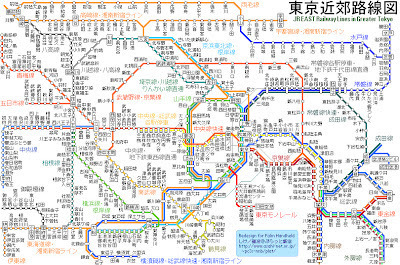 JR East operates Tokyo's largest railway network, including the Yamanote Line loop that circles the center of downtown Tokyo. 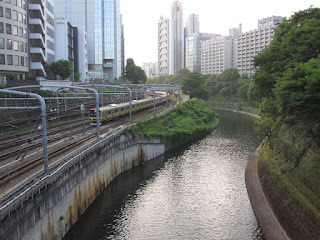 The stations on the Yamanote Line are some of the most expensive in Tokyo due to the convenience it offers and all the commercial development that takes place around its stations. It is estimated some 20 million people use rail as their primary means of transport (not trips) in the metropolitan area daily. In comparison, the entire country of Germany, with the highest per-capita railway use in Europe, has 10 million daily train riders. 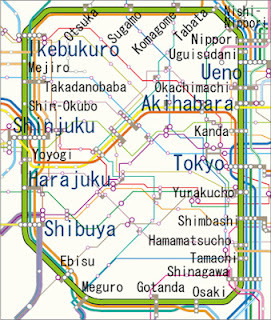 Two organizations operate the subway network: the private Tokyo Metro and the governmental Tokyo Metropolitan Bureau of Transportation. 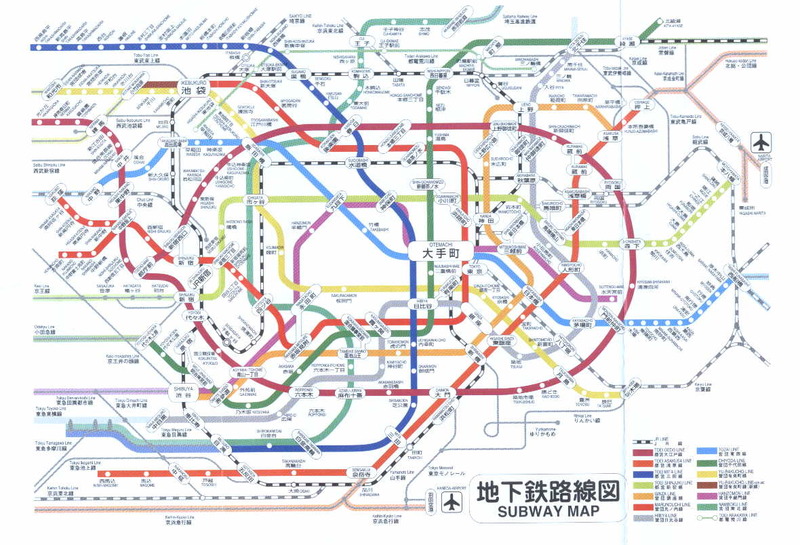 There are 882 interconnected rail stations in the Tokyo Metropolis, 282 of which are Subway stations, with several hundred more in each of the 3 surrounding suburban prefectures. 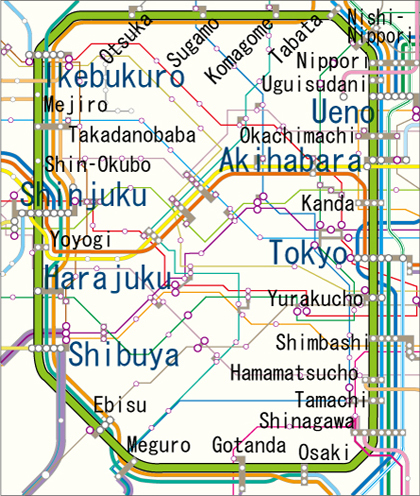 There are 30 operators running 121 passenger rail lines (102 serving Tokyo and 19 more serving Greater Tokyo but not Tokyo's city center itself), excluding about 12 cable cars. Despite this vastness, the network is still being expanded, albeit with more service upgrades and fewer new lines. Each of the region's rail companies makes their own maps, with key transfer points highlighted. Trains are often extremely crowded at peak travel times, with people being pushed into trains by so-called oshiya ("pushers"). Most lines in Tokyo are privately owned and operated, though the Toei Subway is run directly by the Tokyo Metropolitan Government and Tokyo Metro is owned indirectly by the Tokyo and national governments. 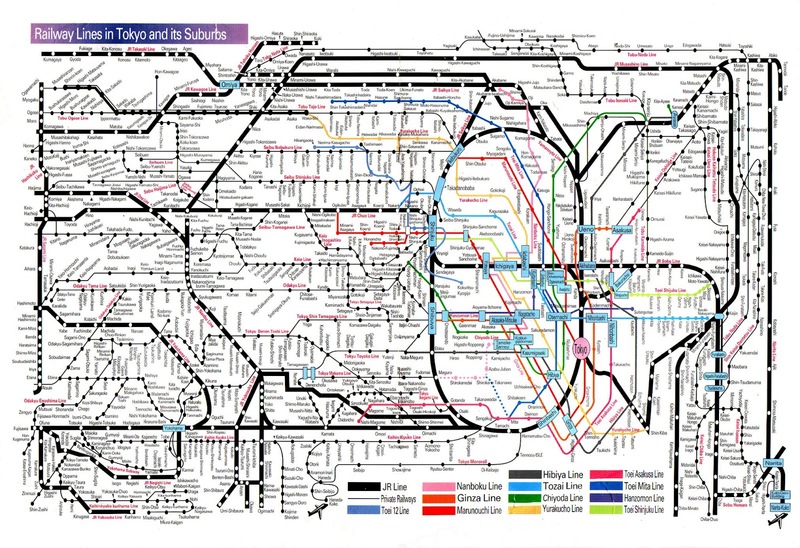 Rail and subway lines are highly integrated and dense; commuter trains from the suburbs continue directly into the subway network on many lines, often emerging on the other side of the city to serve another company's surface commuter line. 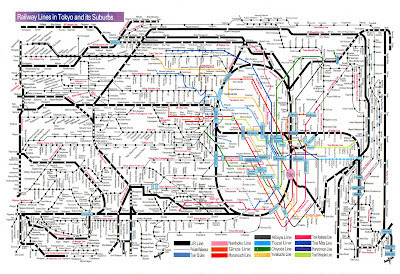 Shinjuku Station is the busiest train station in the world by passenger throughput. This American Life: What Kind of Country is This?